We become your farmer and an important relationship develops between Russell Farms, the Russell Family and you, its member. CSA stands for Community Supported Agriculture. It is a cooperative and personal relationship between a farmer (Russell Farms) and their customers. CSA members make a pre-season payment to purchase a membership share of the seasons harvest. Each week the member receives a bag of the seasons prime fruits and vegetables harvested daily called a share. Our CSA team is dedicated to the satisfaction of our members. We work hard to ensure that you have a unique and enjoyable experience throughout the season. We offer hands on, personal experience to make sure you get the most out of your Russell Farms CSA membership. Russell Farms is committed to produce the highest quality fruits and vegetables. We partner with the areas top growers sharing the common goal of producing safe quality food. We are in pursuit of our GAP (Good Agricultural Practices) certification and practice IMP (Integrated Pest Management) growing techniques. Although we do produce some items without any sprays, this is not a fully organic CSA. 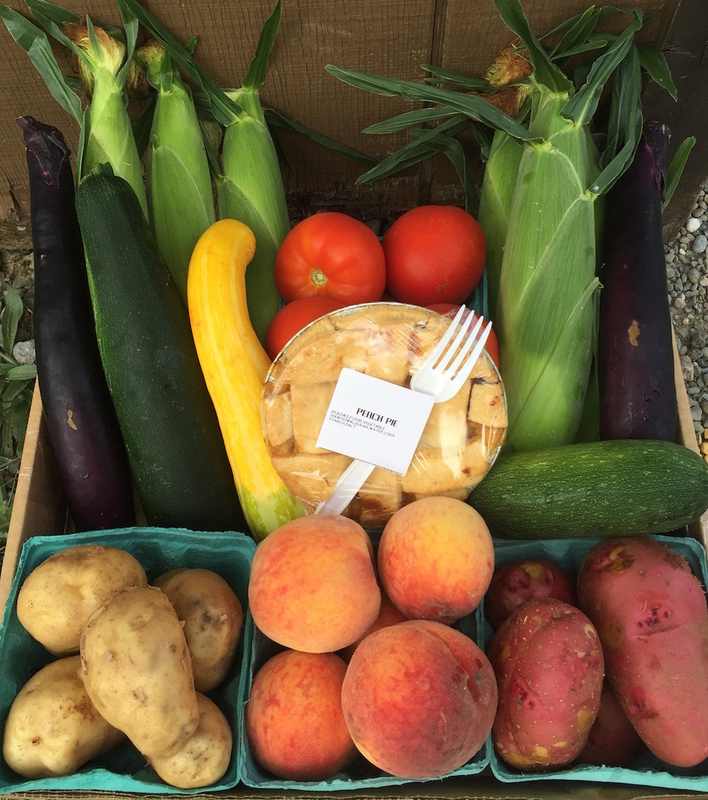 We include both fruits and veggies in our shares, we also include baked good from our scratch bakery, snack and trail mixes, farm eggs, jellies, flowers, and local cheeses. All CSA customers receive 10% off purchases at a Russell Farms location the day of pickup.